The East Aldine District board viewed the latest iteration of the Master Plan for their proposed new Town Center, to be built on 61 acres of land on the south side of Aldine Mail Route, at their meeting last Tuesday evening. The site is between Stevens Elementary and Fall Meadow, and north of Keith Wiess park. The new plan shows no radical changes from the one presented a few months ago, but details of the development help the board to envision the final result. 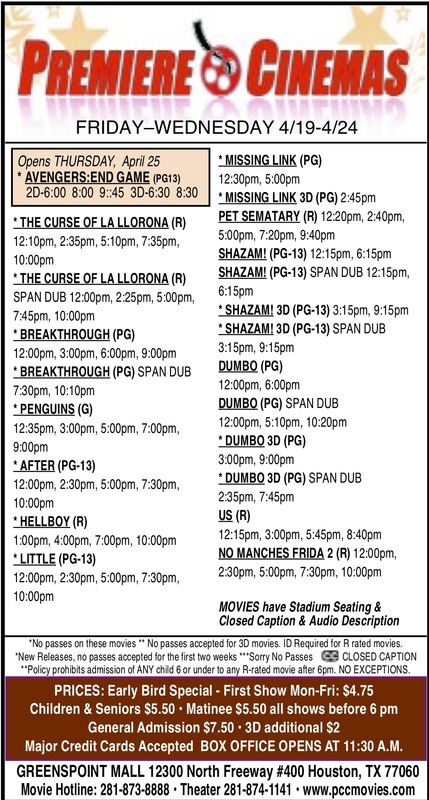 The major elements in the plan, seen on page one of the Northeast News, include a new college for Lone Star College – North Harris, that would be larger than Victory Center or Greenspoint Center, and serve the immediate MacArthur/Aldine students. It is shown with adjacent on-grade parking, and room for expansion that could actually double the classroom space. A new feature is a major grocery store, with adjacent retail shops, restaurants, and the Sheriff’s storefront office. These would be close to the street, with parking at the front door. Offices are included in separate buildings for the East Aldine District, Sheriff’s communication division, ESD#1 ambulance station, and a future civic building for cultural social and recreational activities. 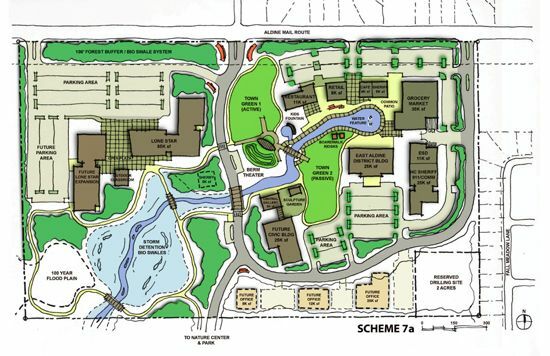 Outdoor development includes two “town greens” and a waterway meandering through the center of the site and into Keith Wiess park. Walking trails and a community outdoor theater with bermed seating are included. There is room for more buildings and outdoor features as needs arise, the planners said, and they emphasized that the ideas are fluid and may change with community input. NORTH HOUSTON –Hundreds packed the dining room at the Hilton Hotel last Wednesday, to be informed and have confirmed what many already knew – that North Houston is booming with new projects, new housing, new roads, and a strong economy that might continue for many years. The North Houston Association has been the coordinator and leader of this growth for some time, led by Executive Director Paula Lenz and an influential board. This luncheon was meant to be a “snapshot and development showcase” to serve as an update for all the parties that are involved in the boom. Many are aware of their contribution, but this meeting served to inform them of the work of others in similar fields. The keynote speaker was Dr. Jim Gaines, of the Real Estate Center of Texas A & M University. Through slides and charts, and with a sense of humor, he presented the growth charts and curves that always seems to point upwards. He explained that Houston is growing at a yearly rate of 4.3%, only exceeded by Austin at 6.8%. At this rate, by the year 2050 the greater Houston area will have grown from 6 million people to 14.5 million, he said. At that time, the ethnicity of the area will be 55% Hispanic, the new majority. Keith Simon, of CDC Housont / Coventry Develoopment Corporation, who are developing Springwoods Village next to the new ExxonMobil campus. This will include 5000 residential units, a town center with one million square feet of retail/hotel/commercial, and generate 10,000 to 12,000 including the ExxonMobil office campus. 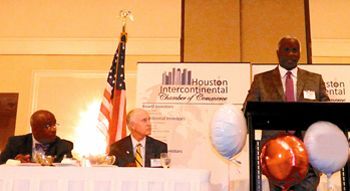 The luncheon was hosted by both the North Houston Association, and the Lone Star College System, and its North Houston Regional Center for Economic Development. The North Houston Association advocates and supports projects and initiatives which advance the business environment and improve the quality of life in north Harris and south Montgomery counties. Lone Star College’s North Houston Regional Center for Economic Develoopment serves as a resource and information hub in support of business recruitment, retention, expansion, and economic sustainability in the north Harris and south Montgomery counties. In collaboration with stakeholders, NHRCED is a regional advocate committed to ensure that the region continues as one of the state’s most dynamic business environments. NORTHEAST – The annual State of the School Districts presentation, at the HICC Chamber luncheon last Thursday, was enlivened by an unscheduled visit by Congresswoman Sheila Jackson Lee, and a presentation by Texas Children’s Hospital, announcing their new clinic in the Greenspoint area. This was followed by presentations by each of three superintendents on the status, and highlights of their respective school districts. Dr. Ralph Draper said his district had grown to 37,000 students, and with the development of the ExxonMobil campus on I-45 and the Springwood Village development, his district and others could look forward to continued growth pressures. Draper discussed the new state TEA Accountability ratings, noting that they were very complex, made up of 4 indexes that were basically different from previous years, and most districts were trying to analyze them and work to improve their scores. However, he did note that almost all of his campuses met the high rating of “Met Standard”. Draper also said the goal at Spring was to imbue students with a measure of creative genius, as they would define it. Dr. Jim Cain made the presentation for Klein ISD. He noted growth to 48,000 students, a thousand more than last year, with expectations of a continued surge as ExxonMobil builds out their campus. Cain said HB5 not only reduced the number of required tests for senior, but opened a number of “pathways” for their career choices. He noted that the state still had to deal with the “property rich vs the property poor” school funding formula. Speaking for Aldine, Assistant Superintendent Archie Blanson reviewed the ethnicity of the district, and its growth to 66,200 students on 76 campuses. He noted that AISD is hiring 800 new teachers this year, and all teachers will receive pay increases. Aldine had disappointing results in the new TEA Accountability ratings, with only 73% or 50 of their campuses rated “Met Standard” and 20 campuses getting the “Improvement Required” rating. Blanson said the district is holding weekly meetings to solve these problems, especially in the reading and writing areas. In previous comments, Superintendent Wanda Bamberg had noted that schools could get a failing rating if they fell short in any of the four rating areas. Bamberg noted, as did Blanson, that the rating system is very complex, requiring study by her district to learn how to improve. Blanson said the district has entered into a partnership with the private charter school YES Prep Academy, and will offer courses through them at hoffman Middle School. He also noted a new INVEST program to evaluate teachers and reward them with performance achievements. Blanson said one of the highlights of last year was the establishment of an Aldine Education Foundation, which has raised considerable money for scholarships to any college of a student’s choice, and awards of teacher’s innovation grants in schools. The Aldine school district is financially strong, he said, with a Fund Balance now at $192 million. The district opened one new school this year, the Davis 9th grade school. Last year they opened the new Davis High School. In answers to questions, Blanson said that class sizes at secondary schools will be able to be reduced, with the new state funding. 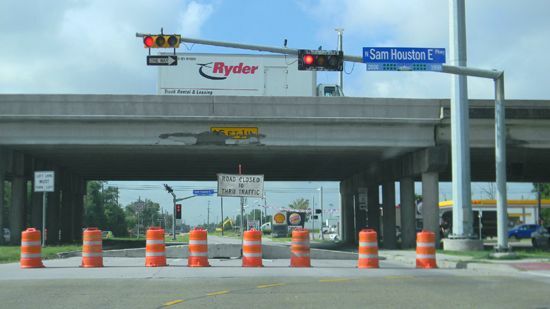 Aldine Westfield (southbound) at North Sam Houston Parkway (Beltway 8) has been closed to thru traffic after a big rig carrying giant spools smashed into the overpass last Thursday, August 8, 2013. The spools smashed right into the sign that warns drivers of the height limit. North Beltway 8 is down by a lane. Because of the closure of Aldine Westfield, drivers will have to fimd alternative routes. Coming from JFK Blvd., one would have to drive all the way to W. Hardy Rd. to make a U-turn and drive back to make a right into Aldine Westfield. According to TxDOT, it will cost about a quarter million dollars to repair the overpass, and it’s planning to recover expenses so it won’t affect taxpayers’ pockets. The overall time for completion is between 2-3 months, TxDOT said. The Houston Police Department needs to first finish the investigation on the crash before starting any repairs. 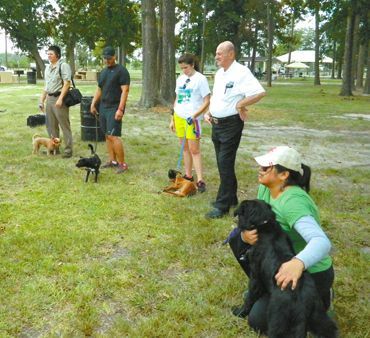 NORTHEAST – East Aldine’s “Paws in the Park” training classes, for dogs and their owners, got a break with good weather between rain showers, and held their first official class last Saturday morning in Crowley Park. About 6 dog owners participated, along with another half dozen interested folks that didn’t have a dog with them, but might be able to use the information and tips that were discussed and demonstrated. EAMD coordinator Natali Lacasa was pleased with the turnout, and said another class would be held September 14th and invited more to come with their dog. Professional training was provided by Harris County Veterinary Services, and the private company Urban Tails. The session broke down into a game with information, and a basic obedience training exercise class. ALDINE – In preparation for the Back to School events, the Aldine school district every year holds a warm-up type of fun-filled, light hearted celebration of the achievements of the district last year and the upcoming year, too. This is known as the “Apple Celebration,” and was held last Thursday as a luncheon in the Campbell Center. Attending were teachers, administrators, school board, education foundation members, and business partners of the district. The event started with the tradition of Superintendent Wanda Bamberg reading a children’s book with an “apple” theme. This year it was “Bad Apple”, by Edward Hemingway, the grandson of Ernest Hemingway. With humor and wit, Bamberg read the story of a friendship between a little green worm and its host, a red apple, and how their friendship overcame bullying and cliches from the other fruit. Next came a slide presentation of the accomplishments of the district in the last school year, and projections of an even better year coming up. These include a balanced budget, the establishment of an Education Foundation that was able to award $6555 in grants to teachers for innovation, and 139 scholarships to seniors for use in colleges of their choice. Other highlights of her presentation included how an energy survey had saved the district almost $1 million dollars in electric costs, how the Child Nutrition Department has started a universal free breakfast for all children, and other department accomplishments. 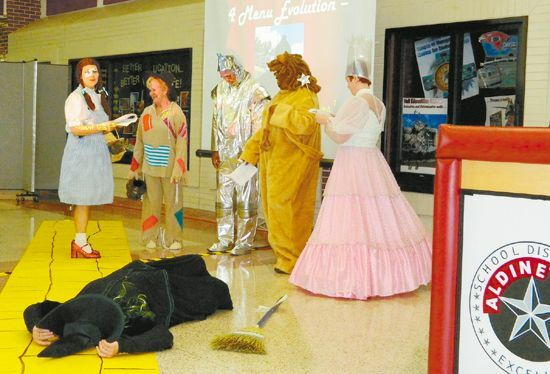 Next, the Child Nutrition Department put on a skit, based on the Wizard of Oz. The story was changed to reflect how the district has dealth with new regulations for Food Service, and of course with the help of the wizard the department successfully implemented the new program. After the enjoyable tongue in cheek skit, the fun continued with an art contest. Rose Avalos had offered a million dollars to the attendee with the most outstanding and unusual artwork – a modification of old masters by pasting or drawing new elements over the old familiar images – which was facilitated by Joey Doyle and a kit of parts at each table to cut and paste and mark on copied art paintings such as the Mona Lisa, etc. And so after much fun, and some serious figures, the district employees presented superintendent Wanda Bamberg with a beautiful big bouquet of flowers as a thank-you for her leadership.